Robert Underwood LAc is an artist, writer, father and healer. He co-owns Good Life Acupuncture with his wife, Stacey Donelson. He is on the cutting edge of eastern/western health and wellness using everything from blood tests to hemp oils to compliment his traditional medical training. He is passionate about sharing the genius of Chinese Medicine and loves seeing people realize that they can control their health with their lifestyle. 12:00 AM PT - Encore Breakfast with Erica Hosted by Erica. 01:00 AM PT - Encore ACIM with C.A. Brooks Hosted by C. A. Brooks. 02:00 AM PT - Encore The Amy Marie Pacheco Show Hosted by Amy Pacheco. 03:00 AM PT - Encore Psychic Sisters Hosted by The Psychic Sisters. 04:00 AM PT - Encore Postcards to the Universe Hosted by Melisa Caprio. 05:00 AM PT - Encore Molé Mama Hosted by Molé Mama. 06:00 AM PT - Encore 12News Show Hosted by 12News. 07:00 AM PT - Encore Simple Tales Hosted by C. A. Brooks. 08:00 AM PT - Encore The Dr. Elisa Show Hosted by Dr. Elisa. 09:00 AM PT - Encore Kathleen Peterson & Friends Hosted by Kathleen Peterson. 10:00 AM PT - Encore The Mark Husson Show Hosted by Mark Husson. 11:00 AM PT - Encore Pathways to Consciousness & Healing Hosted by Jim Komar. 12:00 PM PT - Encore The Long Road Hosted by Kai Greenway. 01:00 PM PT - Encore Soul to Sole Hosted by Nancy Newman. 02:00 PM PT - Encore The Katie Weaver Show Hosted by Katie Weaver. 03:00 PM PT - Encore The Krystene Du Maurier Show Hosted by Krystene Du Maurier. 04:00 PM PT - Encore Empowerment Hosted by Kelly. 05:00 PM PT - Encore Strange Phenomena & Mysteries Hosted by N.K.R..
06:00 PM PT - Encore Provocative Enlightenment Hosted by Eldon Taylor. 07:00 PM PT - Encore The Ade Show with Ade Anifowose Hosted by Ade Anifowose. 08:00 PM PT - Encore Psychic Katt Show Hosted by Psychic Katt. 09:00 PM PT - Encore Down the Rabbit Hole Hosted by Raven McMinn & Nancy Newman . 11:00 PM PT - Encore Empowerment Hosted by Kelly. 12:00 AM PT - Encore The Amy Marie Pacheco Show Hosted by Amy Pacheco. 01:00 AM PT - Encore Simple Tales Hosted by C. A. Brooks. 02:00 AM PT - Encore The Long Road Hosted by Kai Greenway. 03:00 AM PT - Encore The Krystene Du Maurier Show Hosted by Krystene Du Maurier. 04:00 AM PT - Encore Breakfast with Erica Hosted by Erica. 05:00 AM PT - Encore Psychic Sisters Hosted by The Psychic Sisters. 07:00 AM PT - Encore Soul to Sole Hosted by Nancy Newman. 08:00 AM PT - 12News Show Hosted by 12News. 09:00 AM PT - The Dr. Elisa Show Hosted by Dr. Elisa. 10:00 AM PT - The Amy Marie Pacheco Show Hosted by Amy Pacheco. 11:00 AM PT - Take 2 Hosted by Julie R & Sydney. 12:00 PM PT - Kathleen Peterson & Friends Hosted by Kathleen Peterson. 01:00 PM PT - Encore Living the Good Life Hosted by Robert Underwood LAc. 02:00 PM PT - Encore Molé Mama Hosted by Molé Mama. 03:00 PM PT - Encore Pathways to Consciousness & Healing Hosted by Jim Komar. 04:00 PM PT - Encore WIDE OPEN Hosted by Erin. 05:00 PM PT - Encore ACIM with C.A. Brooks Hosted by C. A. Brooks. 06:00 PM PT - Encore 12News Show Hosted by 12News. 07:00 PM PT - Encore The Dr. Elisa Show Hosted by Dr. Elisa. 08:00 PM PT - Encore Kathleen Peterson & Friends Hosted by Kathleen Peterson. 10:00 PM PT - Encore The Kristina Lafrance Show Hosted by Kristina Lafrance. 11:00 PM PT - Encore Psychic Sisters Hosted by The Psychic Sisters. 01:00 AM PT - Encore Angel With An Edge Hosted by Elizabeth. 02:00 AM PT - Encore The Mark Husson Show Hosted by Mark Husson. 04:00 AM PT - Encore The Jamie Dawn Show Hosted by Jamie Dawn. 05:00 AM PT - Encore The Amy Marie Pacheco Show Hosted by Amy Pacheco. 06:00 AM PT - Encore Pathways to Consciousness & Healing Hosted by Jim Komar. 07:00 AM PT - The Ade Show with Ade Anifowose Hosted by Ade Anifowose. 08:00 AM PT - The Psychic Katt Show Hosted by Psychic Katt. 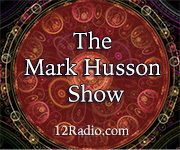 09:00 AM PT - The Mark Husson Show Hosted by Mark Husson. 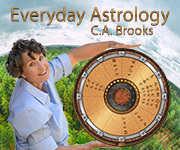 10:00 AM PT - Simple Tales Hosted by C. A. Brooks. 11:00 AM PT - Empowerment Hosted by Kelly. 12:00 PM PT - The Katie Weaver Show Hosted by Katie Weaver. 01:00 PM PT - Living the Good Life Hosted by Robert Underwood LAc. 02:00 PM PT - Encore The Ade Show with Ade Anifowose Hosted by Ade Anifowose. 03:00 PM PT - Encore Psychic Katt Show Hosted by Psychic Katt. 04:00 PM PT - Encore ACIM with C.A. Brooks Hosted by C. A. Brooks. 05:00 PM PT - Encore Empowerment Hosted by Kelly. 06:00 PM PT - Encore Postcards to the Universe Hosted by Melisa Caprio. 07:00 PM PT - Encore Living the Good Life Hosted by Robert Underwood LAc. 08:00 PM PT - Encore The Kristi Brower Hour Hosted by Kristi Brower. 09:00 PM PT - Encore WIDE OPEN Hosted by Erin. 10:00 PM PT - Encore Kathleen Peterson & Friends Hosted by Kathleen Peterson. 11:00 PM PT - Encore Molé Mama Hosted by Molé Mama. 12:00 AM PT - Encore Pathways to Consciousness & Healing Hosted by Jim Komar. 01:00 AM PT - Encore The Ade Show with Ade Anifowose Hosted by Ade Anifowose. 02:00 AM PT - Encore The Psychic Katt Show Hosted by Psychic Katt. 03:00 AM PT - Encore The Mark Husson Show Hosted by Mark Husson. 04:00 AM PT - Encore Simple Tales Hosted by C. A. Brooks. 05:00 AM PT - Encore Empowerment Hosted by Kelly. 06:00 AM PT - Encore The Dr. Elisa Show Hosted by Dr. Elisa. 07:00 AM PT - GaiaLumiNation Hosted by Tayah . 08:00 AM PT - The Kristina Lafrance Show Hosted by Kristina Lafrance. 09:00 AM PT - The Krystene Du Maurier Show Hosted by Krystene Du Maurier. 10:00 AM PT - The Kristi Brower Hour Hosted by Kristi Brower. 11:00 AM PT - Angel With An Edge Hosted by Elizabeth. 12:00 PM PT - The Long Road Hosted by Kai Greenway. 01:00 PM PT - Postcards To The Universe Hosted by Melisa Caprio. 02:00 PM PT - Down the Rabbit Hole Hosted by Raven McMinn & Nancy Newman . 03:00 PM PT - Encore The Kristi Brower Hour Hosted by Kristi Brower. 04:00 PM PT - Encore Sounds Like Lisa Hosted by Lisa Gonzalez. 05:00 PM PT - Encore The Katie Weaver Show Hosted by Katie Weaver. 06:00 PM PT - Encore Angel With An Edge Hosted by Elizabeth. 07:00 PM PT - Encore Simple Tales Hosted by C. A. Brooks. 08:00 PM PT - Encore Soul to Sole Hosted by Nancy Newman. 09:00 PM PT - Encore The Krystene Du Maurier Show Hosted by Krystene Du Maurier. 10:00 PM PT - Encore Living the Good Life Hosted by Robert Underwood LAc. 11:00 PM PT - Encore The Long Road Hosted by Kai Greenway. 01:00 AM PT - Encore The Psychic Katt Show Hosted by Psychic Katt. 02:00 AM PT - Encore Down the Rabbit Hole Hosted by Raven McMinn & Nancy Newman . 03:00 AM PT - Encore ACIM with C.A. Brooks Hosted by C. A. Brooks. 04:00 AM PT - Encore The Krystene Du Maurier Show Hosted by Krystene Du Maurier. 05:00 AM PT - Encore Kathleen Peterson & Friends Hosted by Kathleen Peterson. 06:00 AM PT - Encore The Katie Weaver Show Hosted by Katie Weaver. 07:00 AM PT - Encore The Kristi Brower Hour Hosted by Kristi Brower. 08:00 AM PT - Breakfast with Erica Hosted by Erica. 09:00 AM PT - WIDE OPEN Hosted by Erin. 10:00 AM PT - Sounds Like Lisa Hosted by Lisa Gonzalez. 11:00 AM PT - Psychic Sisters Hosted by The Psychic Sisters. 12:00 PM PT - Encore Soul to Sole Hosted by Nancy Newman. 02:00 PM PT - Encore The Kristina Lafrance Show Hosted by Kristina Lafrance. 03:00 PM PT - Encore Breakfast with Erica Hosted by Erica. 04:00 PM PT - Encore The Ade Show with Ade Anifowose Hosted by Ade Anifowose. 05:00 PM PT - Pathways to Consciousness & Healing Hosted by Jim Komar. 06:00 PM PT - Molé Mama Hosted by Molé Mama. 07:00 PM PT - Soul to Sole Hosted by Nancy Newman. 08:00 PM PT - Encore Psychic Sisters Hosted by The Psychic Sisters. 09:00 PM PT - Encore Postcards to the Universe Hosted by Melisa Caprio. 10:00 PM PT - Encore Sounds Like Lisa Hosted by Lisa Gonzalez. 11:00 PM PT - Encore Strange Phenomena & Mysteries Hosted by N.K.R..
12:00 AM PT - Encore The Kristina Lafrance Show Hosted by Kristina Lafrance. 01:00 AM PT - Encore Living the Good Life Hosted by Robert Underwood LAc. 02:00 AM PT - Encore The Katie Weaver Show Hosted by Katie Weaver. 03:00 AM PT - Encore Angel With An Edge Hosted by Elizabeth. 04:00 AM PT - Encore Molé Mama Hosted by Molé Mama. 05:00 AM PT - Encore 12News Show Hosted by 12News. 06:00 AM PT - Encore Down the Rabbit Hole Hosted by Raven McMinn & Nancy Newman . 07:00 AM PT - Encore Psychic Katt Show Hosted by Psychic Katt. 08:00 AM PT - Encore Sounds Like Lisa Hosted by Lisa Gonzalez. 09:00 AM PT - ACIM with C.A. Brooks Hosted by C. A. Brooks. 11:00 AM PT - Strange Phenomena & Mysteries Hosted by Nancy Newman. 12:00 PM PT - Encore The Amy Marie Pacheco Show Hosted by Amy Pacheco. 01:00 PM PT - Encore The Dr. Elisa Show Hosted by Dr. Elisa. 02:00 PM PT - Provocative Enlightenment Hosted by Eldon Taylor. 03:00 PM PT - Encore WIDE OPEN Hosted by Erin. 04:00 PM PT - Encore The Krystene Du Maurier Show Hosted by Krystene Du Maurier. 05:00 PM PT - Encore Postcards to the Universe Hosted by Melisa Caprio. 06:00 PM PT - Encore The Long Road Hosted by Kai Greenway. 07:00 PM PT - Encore ACIM with C.A. Brooks Hosted by C. A. Brooks. 08:00 PM PT - Encore The Kristina Lafrance Show Hosted by Kristina Lafrance. 09:00 PM PT - Encore Provocative Enlightenment Hosted by Eldon Taylor. 10:00 PM PT - Encore The Katie Weaver Show Hosted by Katie Weaver. 11:00 PM PT - Encore Angel With An Edge Hosted by Elizabeth. 12:00 AM PT - Encore Strange Phenomena & Mysteries Hosted by N.K.R..
01:00 AM PT - Encore Kathleen Peterson & Friends Hosted by Kathleen Peterson. 02:00 AM PT - Encore Provocative Enlightenment Hosted by Eldon Taylor. 03:00 AM PT - Encore Postcards to the Universe Hosted by Melisa Caprio. 06:00 AM PT - Encore WIDE OPEN Hosted by Erin. 07:00 AM PT - Encore The Mark Husson Show Hosted by Mark Husson. 08:00 AM PT - Encore Simple Tales Hosted by C. A. Brooks. 09:00 AM PT - Encore Empowerment Hosted by Kelly. 10:00 AM PT - Encore The Ade Show with Ade Anifowose Hosted by Ade Anifowose. 11:00 AM PT - Encore The Kristina Lafrance Show Hosted by Kristina Lafrance. 12:00 PM PT - Encore Living the Good Life Hosted by Robert Underwood LAc. 02:00 PM PT - Encore Angel With An Edge Hosted by Elizabeth. 03:00 PM PT - Encore Soul to Sole Hosted by Nancy Newman. 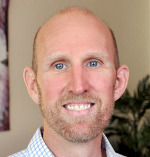 04:00 PM PT - Encore Pathways to Consciousness & Healing Hosted by Jim Komar. 06:00 PM PT - Encore Psychic Sisters Hosted by The Psychic Sisters. 07:00 PM PT - Encore Down the Rabbit Hole Hosted by Raven McMinn & Nancy Newman . 09:00 PM PT - Encore Molé Mama Hosted by Molé Mama.